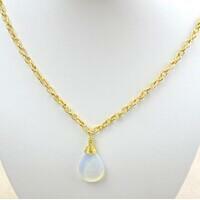 Summary: In this tutorial, I will teach you how to make a chunky chain necklace. 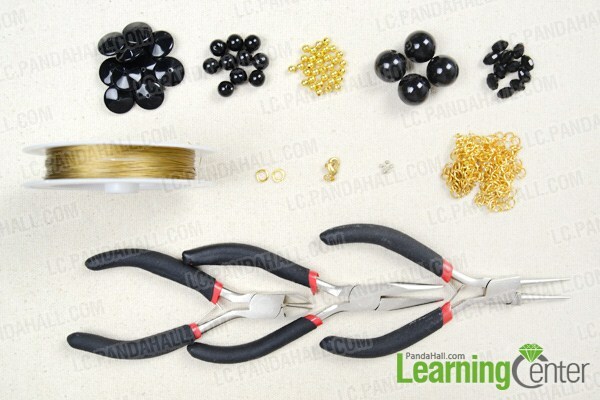 Usually, black and golden jewelry can be regarded as Gothic style jewelry, diy this chunky chain necklace is very easy, you don't need to master beading technique, so follow me to diy chunky bead necklace now. 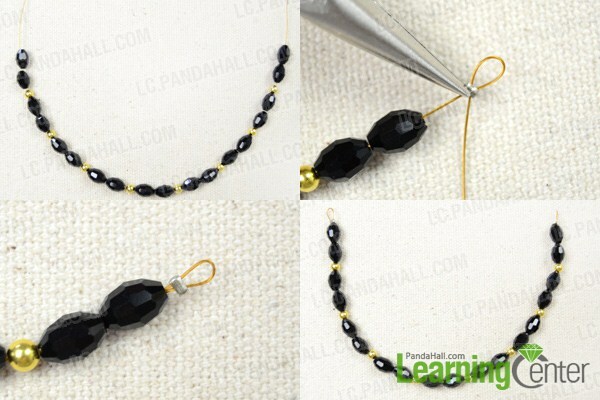 3rd, make the third beaded string. Thread two 9mm black beads and a brass round bead to tiger tail, repeat until use up eighteen 9mm black beads, fasten two ends of tiger tail by crimp beads. 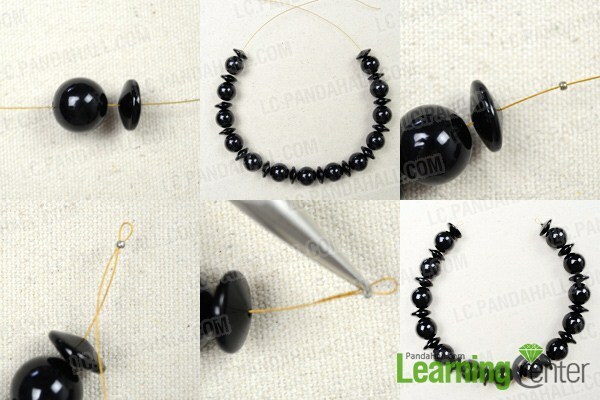 Prepare a chain that is a little longer than the second and third beaded strings, use two jumprings to connect them according to the picture shows. Prepare two 12cm chains and connect them on two jumprings, then connect the two chains with lobster clasp. 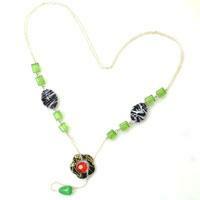 The instruction on how to make a chunky chain necklace is over. 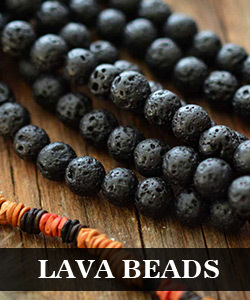 Ok, I've finished how to make a chunky chain necklace; you can give full play to your inspiration to diy more chunky bead necklaces.